How to increase your nutritional intake without increasing calorie intake during pregnancy. So is it true are you really eating for two! Well ……..kind of sort of ……..but no. The increased caloric intake in pregnancy is not that much or only about 300 kcal a day. On the other hand, the increased nutritional needs- vitamins, minerals, omega 3 fatty acids, healthy fats, protein, folate, choline and so much more is substantially increased during pregnancy. The obvious is of course to take a good pre-natal vitamin and I highly recommend you do your own research and find a quality whole food vitamin. There is also so much more you can do. When it comes to nutrition and a change in lifestyle there is no better reason to start living healthier than your little baby growing with in you. By eating mindfully, and by taking good care of your self, you can influence your baby’s health for the better and give him/her the best start in life. Now is the time to look at how many calories your food has, it is the quality of the calories that is important. I want to tell you a bit more specifically about the importance of Choline and how to get more Choline from the food you eat. Choline is not technically a vitamin however it is recognized as a essential nutrient. Research has shown that an increased intake of Choline during pregnancy can significantly lower the risk of of birth defects in brain and spinal cord. Choline also enhances the development and the function of the placenta. Higher Choline intake was even shown to decrease the risk of pre-eclampsia. More Choline during pregnancy eases the baby’s response to stress and even after birth infants of mothers consuming adequate amounts of choline had low cortisol (stress hormone) circulating in their blood. This can have a long lasting effect on the child’s mental health. The RDS of Choline for expectant mothers is 450mg and 550mg for breastfeeding mothers. Unfortunately not all prenatal vitamins contain Choline, I strongly advise you to check yours. Eggs are a great source of Choline, and in some traditional cultures pregnant women used to eat 5-7 eggs a day. The Choline is in the egg yolk and not in the white, so make sure you are getting the yolk. It really does matter though where your eggs come from, free range is always the best and try to stay away from mass production eggs where hens are kept in a cage. 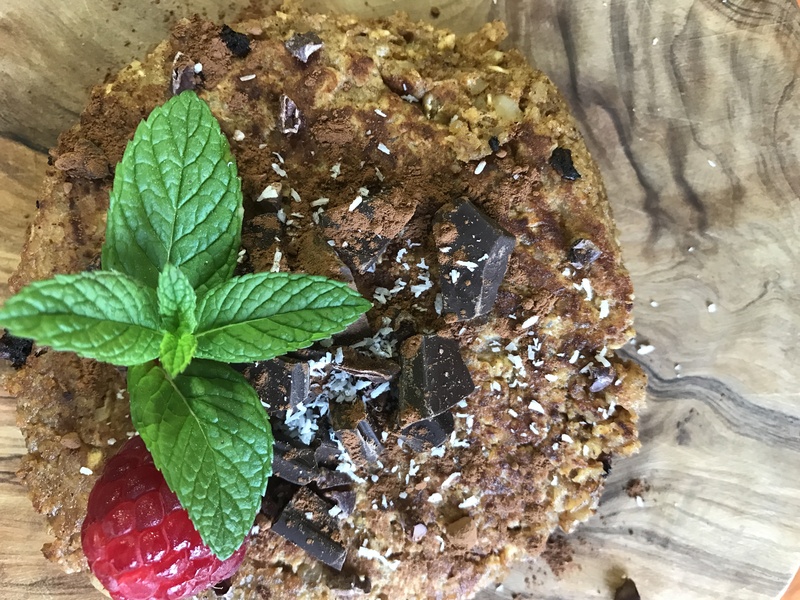 Now I am going to show you how you can increase your Choline intake with a delicious recipe for Sunday morning pancakes ( these are actually so nutritious you could eat them every day). The traditional pancake ingredients flour, sugar, salt, milk, eggs, and butter is, apart from the eggs, of very little nutritional value and high in calories. Here is the improved recipe, with similar amount of calories but a huge difference in nutrition density. When everything is well blended set a side in a large bowl. Blend ingredients from step one and two together. Set a side for an hour (if the mixture feels to thick you can add in oat milk). Warm up coconut oil in a pan and get going. When you have your stack of pancakes you can top them with whatever you want. I like to top mine with fresh fruits and just a hint of pure Canadian maple syrup. 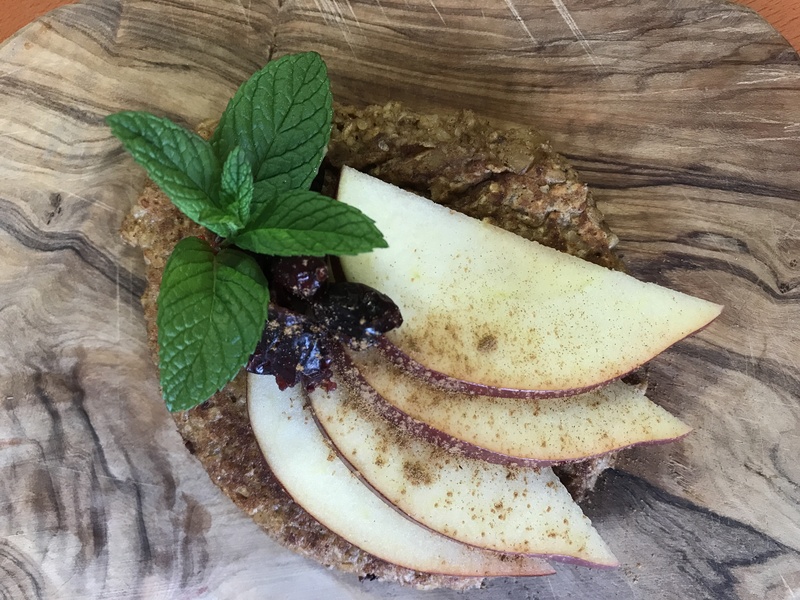 Feel free to get creative with nut butters for some added protein or applesauce for some fiber and vitamin c. Remember: as long as it’s healthy the sky is the limit on how you can enjoy these delicious pancakes. Nutrition is never more important than during pregnancy. You can read my other articles how important iron levels are during pregnancy. When they are low, it can cause a several issues like preterm labor, and postpartum depression. Also please read my article on vitamin D, how by keeping your levels in the right range you can decrease the risk of your baby getting Asthma and lower the risk of infections during infancy. Enjoy and I wish you a happy and healthy pregnancy!